FDA’s Scott Gottlieb relies upon NYTS data on marijuana vaping, experimental and occasional e-cigarette use, and vaping by smokers, former smokers and 18+ adults to falsely claim youth nicotine vaping is an epidemic, threatens to ban/restrict more vapor product sales to adults. – Half of 6th-12th graders who ever used an e-cig reported vaping THC, up from 38% in 2016. – 41.5% of 6th-12th graders who vaped in past 30 days did so 1-2 days, and 61% vaped 1-5 days. – 1.24% of 9th-12th graders were nonsmokers who vaped 20+ of past 30 days (which included many past smokers), while the 2015 NYTS found just 0.3% of never smokers in 6th-12th grade vaped on 20+ of past 30 days.- 18.5% of 9th-12th graders who used an e-cig in the past 30 days were 18+ adults (not youth).- 45% of 9th-12th graders who vaped 20+ of past 30 days were 12th graders (most who were 18+). – Since 2011, cigarette smoking by 6th-12th graders has sharply declined, including daily smoking (-64%), frequent smoking (-63%), past 30 day smoking (-52%), and ever smoking (-43%). Marijuana Vaping has skyrocketed among teens (as with adults) in recent years. The 2017 NYTS found that 49.8% of 6th-12th graders who ever used an e-cigarette reported using an e-cigarette containing THC, marijuana, wax or hash oil, up from 38% in 2016. The 2016 NYTS also found 46.5% of 6th-12th graders who ever used an e-cigarette reported using an e-cigarette for “any substance other than nicotine”, up from 35.7% in 2015. Another DHHS survey that inquired about THC vaping (i.e. NIDA’s MTF Survey) found 30% of past 30 day vapers in 8th-12th grade vaped marijuana in 2017, up sharply from 5% in 2015. The 2017 MTF also found 67% of vapers in 8th-12th grade reported vaping “just flavoring”, similar to 63% in the 2015 MTF, both of which were greater than those who vaped “nicotine”. Analysis of 2016 MTF data finds 12th grade smokers were far more likely to vape nicotine (61.3%) than nonsmokers (18.1%) and never smokers (14.3%); 12th grade never smokers (76%) and nonsmokers (69.6%) were far more likely than smokers (31%) to vape ‘just flavors’. Note that 11 States AL, GA, IN, MN, MS, NJ, OH, OR, SD, WA, WY didn’t ask this question. THC vaping has skyrocketed in the past several years after being legalized in many states. Below are reviews and ads in High Times for dozens of different THC vapor products. Daily (1.1%) and frequent (1.6%) e-cigarette use by 6th-12th graders remained virtually the same from 2014 to 2017, while experimental e-cigarette use declined from 2015 to 2017 (NYTS). Daily (5.2%) and frequent (7.6%) e-cigarette use by 6th-12th graders who ever used an e-cigarette remained very similar from 2014 to 2017, while experimental e-cigarette use declined (NYTS). The number of days 6th-12th graders (%) used an e-cigarette in their lifetime declined from 2015 to 2017 (NYTS). In 2017, 12th graders comprised 45% of 9th-12th graders who frequently used e-cigarettes (20+ of past 30 days), and most 12th graders were 18+. NYTS data provided by Christine Delnevo. The CDC YRBS found past 30 day use (%) of electronic vapor products by 9th-12th graders declined 45% from 2015 to 2017 (from 24.1% to 13.2%). The 2017 YRBS found 2.4% of 9th-12th graders vaped daily, and 3.3% vaped frequently, 12th graders were far more likely to use electronic vapor products daily, frequently and in past 30 days than 11th, 10th and 9th graders, and White students were more likely than Hispanics, who were more likely than Blacks. Brad Rodu reveals the 2017 NYTS found 74% of exclusive past 30 day e-cigarette users in 6-12th grades used e-cigarettes just 1-5 of past 30 days, compared to 56% who used e-cigarettes and cigarettes, 57% who used e-cigarettes and cigars, and 35% who used e-cigarettes, cigarettes and cigars in past 30 days. Rodu also reveals the 2017 NYTS found just 12% of 6th-12th graders who exclusively used e-cigarettes in past 30 days used them frequently (on 20+ days), compared to 20% who used e-cigarettes and cigarettes, 21% who used e-cigarettes and cigars, and 38% who used e-cigarettes, cigarettes and cigars in past 30 days. Brad Rodu reveals the 2017 NYTS found 53% of past 30 day cigarette smokers in 9th-12th grade also used e-cigarettes in the past 30 days (.042/.079=.53), and accounted for 35% of 9th-12th graders who used an e-cigarette in the past 30 days (.042/.119=.35). The number of cigarettes 6th-12th graders (%) smoked in their lifetime also declined sharply from 2011 to 2017 (NYTS). CDC’s NHIS found a 52% decline in cigarette smoking by 18-24 year olds (%) from 2009 to 2017, compared to a 32% decline for all US adults (as more smokers switched to vaping). 2017 NHIS found 14.0% (34.3M) of US adults smoked cigarettes ‘everyday’ or ‘some days’, while just 10.5% (25.7M) of US adults smoked cigarettes ‘everyday’, both record lows. In the past 30 days, how did you usually get your own e-cigarette/cartridges and e-liquid? CDC encourages even more teens to vape by urging (via e-mail) 2 million adults to tell teens to not vape. Note that past 30 day teen vaping sharply increased in 2014 after CDC funded and collaborated with local health agencies in NYC, Chicago, Los Angeles, San Francisco and Philadelphia to ban vaping in workplaces by sensationalizing teen vaping, which generated hundreds of news stories showing young adults vaping, especially cloud chasing. Altria reports 3.7% cigarette volume decline in 3Q18, 6.3% decline in first 9 months of 2018, estimates 4.5% US cigarette industry volume decline in 3Q18, and in first 9 months of 2018. FDA seeks info from 21 e-cig manufacturers to determine if products were banned by Deeming Rule (i.e. 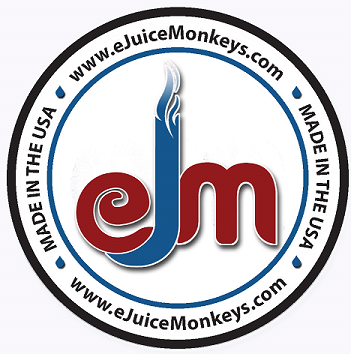 not on the US market on 8/8/2016), demands response from manufacturers within 60 days, which will likely result in several dozen new vapor products being pulled from US market. Altria to stop selling its ‘new’ vapor products (that may not have been on the US market on 8/8/2016), claims company will support federal legislation to ban all tobacco sales to anyone under 21, falsely claims company’s actions are intended to protect children from vapor products.